As we emerge from the pollen-free fresh air of winter, seasonal allergy sufferers are preparing for the annual ritual of runny noses, itchy and watery eyes, and sinus congestion that accompany spring allergy season. By far, this is the primary season when allergy medications fly off the shelf and this continues right through to the end of the fall allergy season. 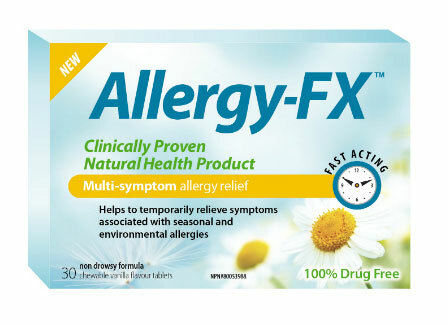 Although allergen avoidance is the key to preventing allergy symptoms, it’s not realistic (or effective) in many cases. When avoidance doesn’t work, medications—natural or pharmaceutical—may be an option. Conventional approaches include over-the-counter (OTC) products and in some cases, allergy shots. Anti-histamines are most popular and while these can work for some, they can also make one sleepy and dry out the mucous membranes. Besides these side-effects, most people would prefer not to take synthetic chemicals on a regular basis, so natural options are fast becoming a popular choice. Effective natural options include butterbur, quercetin and the latest to enter the allergy scene—quail eggs. The effectiveness of a proprietary quail egg formula is supported by a number of randomized controlled trials indicating that it effectively relieves multiple symptoms of seasonal and environmental allergies, without the side-effects of conventional OTC drugs. The good news is that there are many options, and your local health food retailer can help find the product that’s best for you. Lee Know, ND, is the recipient of several awards, and has held positions as a Medical Advisor, Scientific Evaluator, and Director of R&D for major organizations. As recommended by Dr. Joseph Mercola and Dr. Michael Eades, read his acclaimed book LIFE: The Epic Story of Our Mitochondria.